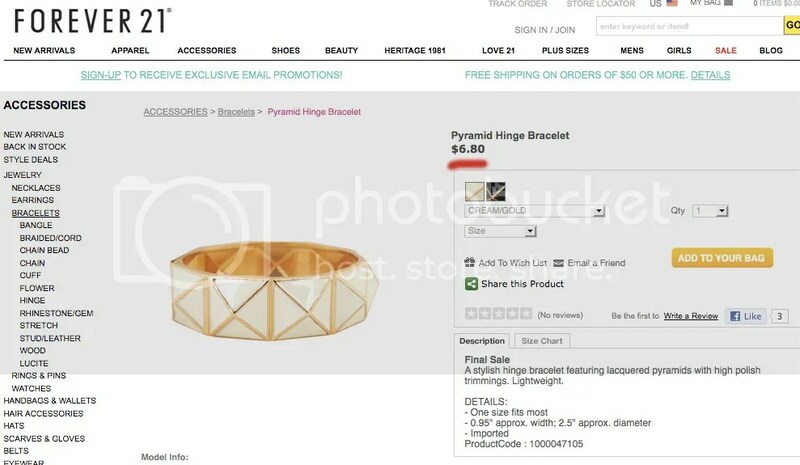 As promised, I am here to deliver “the look for less”, and this post is dedicated to the trendy pyramid bracelets that are so popular right now. 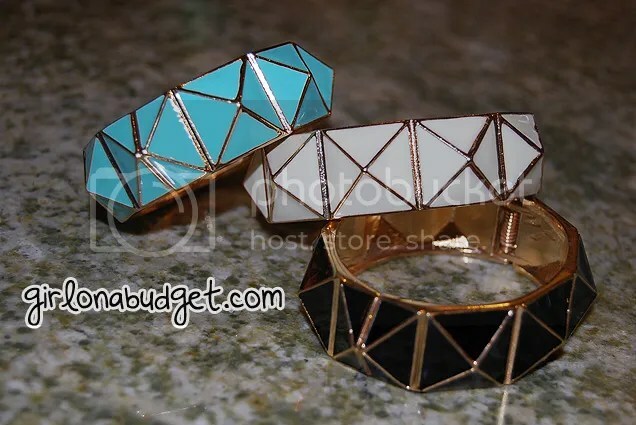 Designer Kenneth Jay Lane has these cute enamel pyramid bracelets, however the cost is far from cute. Found one selling on ebay for $99! Are they smoking crack?!? Luckily, Forever 21 never seems to fail me in the accessories department, and I was able to snag these awesome dupes (look alikes) for only $6.80 each! 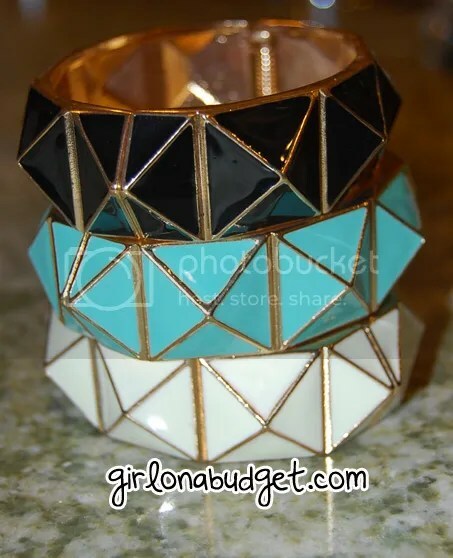 I got 3 bracelets in different (and all) of the colors (black, white, and blue) for under $25! Steal! 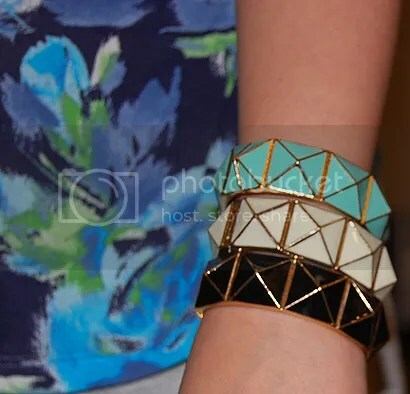 These bracelets are hinged and surprisingly fit my super small wrists and fit comfortably (rather than sliding around my arm), not to mention how cute they are when paired with other bracelets or even just by itself to make a simple statement. awesome. f21 always has dupes! sometimes karmaloop does too! Thanks Jenn! I agree, Forever 21 always has good dupes, I haven’t checked out karmaloop in awhile, I gotta see what’s new! Hope all is well with you girly! Ok, I’m hooked. You’ve got an awesome eye for deals. So glad you’ve started this new blog, Vanessa!